There are several Sinhala teledramas telecasted these days with passing political or social messages both constructive and humorous. If I may refer to two of them, still ongoing, ‘Ape Ardare’ (Our Love) and ‘Sanda Eliya’ (Moon Light) may standout prominently, exposing the dubious nature of politicians, their business connections and thuggery. Another positive aspect of some of these teledramas is to challenge the ethnic and class/caste prejudices in our society. In ‘Ape Ardare,’ the daughter of the Jayawardena family, Senuri, finally appears to be a Tamil girl adopted twenty odd years back from a convent in Maravila. She is Sinhalese, but Tamil! Most of these teledramas are love stories particularly for the young generations and all cannot be considered artistically valuable. None of them, so far I have seen, also can be considered completely political in the story or plot. This is important because we have enough actual political dramas in real life in this serendipity island. The ITN teledrama, Waluka, that I am referring to today is completely non-political and there is not even an indirect political message or comment in the episodes so far telecasted. By last Friday (15 June), 33 episodes have been telecasted. One may then ask, why I am reviewing or commenting on these episodes without waiting for the whole drama to end. The reason is that, although Waluka is not at all a political teledrama, the story so far unravelled quite by accident reveals what has actually happened in the Yahapalana political drama. Waluka is a superb teledrama created by Nishula Deepa Thambawita (Director) and Rihan Ravindra (Screenplay), produced by ARYAA, whatever it means. There is a good number of excellent actors/actresses among whom Janaka Premalal, Hasinika Karaliyadda, Deepani Silva, Srimal Wedisinghe, Chandika Nanayakkara and Kamal Deshapriya are prominent. There are several others of the same genre whose names I don’t know. Even the relatively nouveau actors like Premila Surangi (Waluka) and Chamira Liyanage (Punchi Mahattaya), who play the two prominent roles have been excellent. The story takes place in a remote village dominated still by ‘radalayas’ (landlords) probably towards the end of the colonial period. The dominant is the Wickremanayake Wallawwa in the village, with dwindling dignity and influence. Their major predicament is the absence of an able bodied son to carry forward their lineage and inheritance. The only son, Punchi Mahattaya, is a disabled young man. If he is somehow given to a fertile woman in marriage and a grandson is brought up eventually, the predicament might be avoided. That is the Wickremanayake plot. By nature’s irony or perhaps as an indulgence of Wickremanayake Hamu, a village woman Amara has an able bodied son very much similar to Punchi Mahattaya in features in the name of Damayantha. He is a perfect scapegoat for the plot. The connection between the two families perhaps goes beyond the present generation. Damayantha’s father who is rather mentally retarded is also like Wickremanayake Hamu! He is considered a village idiot along with his elder brother. While the roles of Wickremanayake Hamu and Damayantha’s father are excellently played by Janaka Permalal, Chamira Liyanage equally outstanding in his double acting for Punchi Mahattaya and Damayantha. There is another Wallawwa in a distant village, the Seneviratnes, whose daughter is the innocent and conscientious Waluka. Her conventional cousin-suitor (avassa massina), Ranjith Aiya, is ready to marry her, but according to the horoscope it would spell a disaster to the Seneviratne’s. A cunning ‘Kapuwa’ (marriage broker) intervenes and proposes Waluka to apparent Punchi Mahattaya. Seneviratnes do not make much inquiries about the groom because of Waluka’s horrendous horoscope. Wickremanayakes don’t make much fuss about the dowry either, because of actual Punchi Mahattaya’s eternal infirmity. This is pleasing to the Seneviratnes, who are dead broke in economic terms. It is a ‘marriage of convenience,’ so to say. The marriage takes place, handsome Damayantha appearing as Punchi Mahattaya. Waluka is pleased with Damayantha’s good looks. There is a beautiful marriage ceremony at brides place, and thereafter the couple comes home with pomp and ceremony in a decorated buggy cart. It is on the very honeymoon night that the deception gets exposed. When Waluka takes a glass of milk to her husband’s bed, where they are supposed to sleep, it was not Damayantha but real Punchi Mahattaya who is there. ‘Hoo, Hoo, Rawatuna, Rawatuna. Oya, Rawatuna Manamali.’ (Ha, Ha, you got deceived. You are the deceived bride). In overall, the teledrama is a critique of feudal values and behaviour, apart from the above plot. Most hilarious is the way, the not so wealthy Amara, Damayantha’s mother, tries to emulate the ‘Harmus’ (the feudals). Amara opposes Damayantha’s affair with Warsha because she is from a Karawa (fisher caste) family. Amara’s husband and husband’s brother are different, really like idiotic menfolk in an impoverished village without education. Janaka Premalal and Srimal Wedisinghe entertain the viewers in several episodes of hilarious nature. The story so far unravelled is also full of power ambitions to attain glory and wealth through intrigue and deception apart from the above marriage plot. The woman, Amara, plays a key role in these power ambitions, trying to use her son, Damayantha. Her ambition is to take hold of the Wickremanayake Wallawwa using her son. We still have to see how this power ambition would unravel in the future; now Wickremanayake Hamu is implicated in Warsha’s killing. 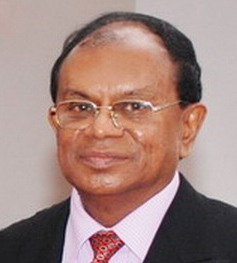 Wickremanayake’s thuggish servant, Batha, also has his ambitions to take over the Wallawwa, having implicated the boss in his shooting of Warsha, Damayantha’s fiancée. The above power struggles first led me to see Waluka through ‘political lenses,’ as they are very much similar to our political power-struggles. However, when I was going through the past episodes again, the marriage deception came to my mind as a perfect example of what has happened to the Yahapalana marriage. Even at this stage, however, I must say that the authors of the teledrama perhaps never intended giving any political symbolism or interpretation to the story. The ‘misinterpretation,’ if you want to call it, is completely mine. It was because of the impotence of the Wickremanayakes (read as Wickremasinghes) that Damayantha (read as Maithripala Sirisena) was brought into the Yahapalana marriage. In the teledrama, that was without much of his consent. But in the actual political drama, that was with his full and willing connivance. Then there was this role of Amara (guess who!) persuading Damayantha to play the role of Wickremanayake Punchi Mahattaya to deceive Waluka. Waluka in the teledrama is the symbol of the innocent and conscientious people of this country. They are like the ‘Rawatuna Manamali’ (deceived bride) in the teledrama. In the teledrama, Waluka still tries to rehabilitate the disabled and the impotent Punchi Mahattaya. That is unfortunately her destiny. Damayantha is the same. For the second time, he appears on behalf of Punchi Mahattaya when Waluka’s parents come to verify the rumours. That was the last episode. 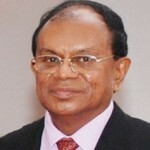 Damayantha has a wavering character as well. He even attempts to commit suicide, but gives up after listening to Punchi Mahattaya’s appeal to save him. Seneviratnes are of course fully implicated in the whole marriage coax. They tried to win by hoodwinking Wickremanayakes and deceiving Waluka against her wishes. They even expedited the marriage based on the horoscope. In the teledrama, Waluka and Warsha are the real victims of the ‘Wallaw’ intrigues, both of Wickremanayakes and Seneviratnes.